I’m a writer, editor and photographer specialising in adventure travel, the outdoor industry, and genre fiction. I’m Online Editor of The Great Outdoors (TGO) magazine, the UK’s leading authority on backpacking and hillwalking. 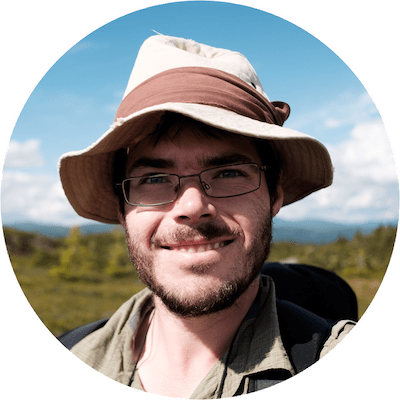 Many of the articles on this site are devoted to the wild places of Britain and Europe, and I have been an active backpacker, mountaineer and climber for over 15 years. I am a feature writer for TGO and UKHillwalking.com. I have also written for Trail, Mountain Pro Magazine, On Landscape, and other titles in the UK outdoor press. In 2019 I joined the Outdoor Writers and Photographers Guild (profile here). I established Pinnacle Editorial in July 2014. I am an Intermediate Member of the Society for Editors and Proofreaders, and I offer copywriting, developmental content editing, copy-editing and proofreading services for adventure writers and the outdoor publishing industry. See my editorial portfolio for details about my current roles and clients.